The most important objectives that are frequently found in bio-analytical chemistry involve applying tools to relevant medical/biological problems and refining these applications. Developing a reliable sample preparation step, for the medical and biological fields is another primary objective in analytical chemistry, in order to extract and isolate the analytes of interest from complex biological matrices. 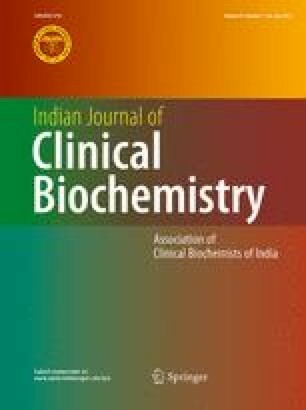 Since, main inborn errors of metabolism (IEM) diagnosable through uracil analysis and the therapeutic monitoring of toxic 5-fluoruracil (an important anti-cancerous drug) in dihydropyrimidine dehydrogenase deficient patients, require an ultra-sensitive, reproducible, selective, and accurate analytical techniques for their measurements. Therefore, keeping in view, the diagnostic value of uracil and 5-fluoruracil measurements, this article refines several analytical techniques involved in selective recognition and quantification of uracil and 5-fluoruracil from biological and pharmaceutical samples. The prospective study revealed that implementation of molecularly imprinted polymer as a solid-phase material for sample preparation and preconcentration of uracil and 5-fluoruracil had proven to be effective as it could obviates problems related to tedious separation techniques, owing to protein binding and drastic interferences, from the complex matrices in real samples such as blood plasma, serum samples. The author greatly acknowledged to her funding Agency University Grant Commission-Dr. D. S. Kothari Post Doctoral Fellowship, New Delhi (Grant No. S-25/24198 DSK-PDF) for providing financial support, Prof. S. S. Pandey, for providing valuable suggestions, and the Head of Department of Biochemistry, Faculty of Sciences, BHU, Varanasi, for pursuing the project.